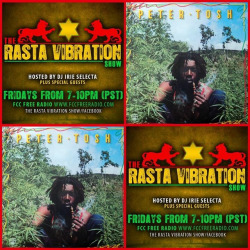 Were getting down Friday night on The Rasta Vibration Show!!! Calling in via the Irie hotline we will chat with rising reggae artist Chedda about his new single “Original Don” Not to mention Elijah Alaimo from Show Nuff Entertainment will be stopping by to give away tickets to the hugh show going down Saturday night at Neck of the Woods in San Francisco!!! Be sure to tune inn worldwide 7-10pm Cali time on www.fccfreeradio.com live in Studio 1A!